Office Space - Leigh, Greater Manchester. 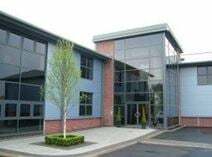 These modern premises comprise high quality, fully serviced office accommodation, available on flexible leases. There is a staffed reception, meeting rooms and a comprehensive business support service. Situated in Leigh, with easy access to the M6, M61 And M62.